We have just passed 2014 and welcome 2015. This is the first post in 2015 as I was busy with my personal task. In 23rd March 2014, Laptopbaginfo started his journey to help people to find their desirable laptop bags and backpacks. In last year, I was try to help people by publishing more than 100 laptop bags and backpacks reviews. I’m glad and thanks to all of Laptopbaginfo visitors that they find my reviews helpful and buy their favorite laptop bags and backpacks through my affiliate link. Laptopbaginfo totally got more than 1K sales and earn huge commission. So today, I’m going to share the list of Top Selling Laptop Backpacks in 2014. Hope you will also find this list helpful and also I’m sure you will find a perfect laptop bag of backpacks for yourself or your buddy one. 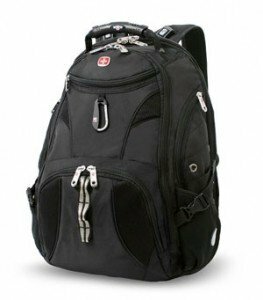 The Targus Drifter II Backpack for 16-Inch Laptop, Black/Gray (TSB238US) is one of the best selling laptop backpack in 2014. The backpack was sold more than 70 times that is really incredible. The backpack specially designed for college students, professionals and travelers. The dedicated and padded laptop compartment fits up to a 16 inch laptop. The main compartment comes with large packing capacity, so you can easily carry huge books and others study materials through the backpack. There are also several extra zippered pockets and sleeves available to carry others tools and accessories. 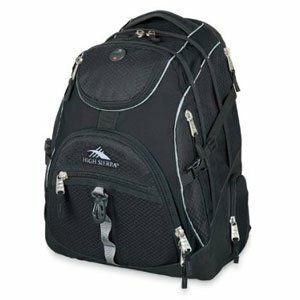 Targus Drifter II Backpack has a Rating on Amazon, 4.2 out of 5 and more than 1,250 customer reviews. The SwissGear Travel Gear ScanSmart Backpack 1900 is a best travel backpack and one of the top selling backpack in 2014. The backpack got sales more than 40 times that is specially designed for professionals and travelers. It will make your travel life easy and comfortable with TSA-Friendly feature. The extra padded compartment is perfect to carry up to a 17 inch laptop and notebook. The main compartment also comes with large packing capacity to carry a large amount of clothing and others essential documents during travel time. SwissGear Travel Gear ScanSmart Backpack 1900 has a Rating on Amazon, 4.6 out of 5 and more than 645 customer reviews. 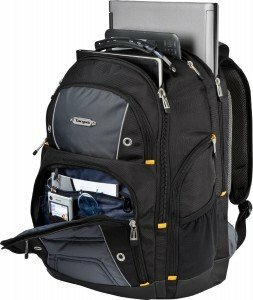 The Everki Titan Checkpoint Friendly Laptop Backpack Fits Up to 18.4-Inch Laptops (EKP120) is a perfect laptop backpack for professionals that comes with various unique features. The backpack was sold more than 30 times in 2014. The backpack also comes with TSA-Friendly feature that is designed to carry a lot of contents during travel times. The extra padded laptop compartment fits up to s18.4 inch laptop that also comes with extra protective layer. The main compartment comes with well-organized feature with lots of pockets and sleeves to carry lots of gadgets and electronics. The Everki Titan has a Rating on Amazon, 4.9 out of 5 and more than 144 customer reviews that is really unbelievable. The SwissGear Computer Backpack was sold more than 30 times in 2014 that is a perfect backpack for travelers, professionals and students. You can carry huge luggage through the backpack. 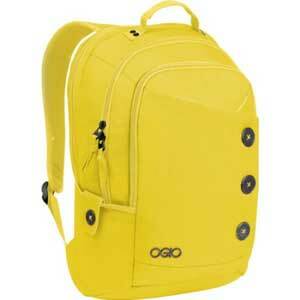 The stylish and fashionable backpack also perfect for students to carry their books and study materials. 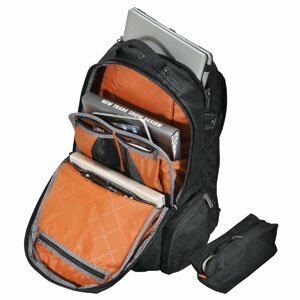 You can also carry up to 15.4 inch laptop or notebook through the backpack. The extra padded and dedicated laptop compartment protect your laptop from any kind physical damage or hit. There is also an audio pocket and side water bottle pockets available to make your journey easy and comfortable. 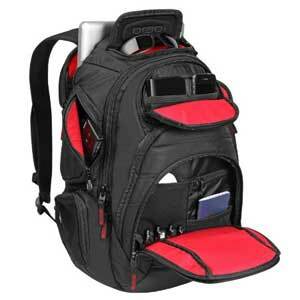 The High Sierra Access Backpack is a top selling laptop backpack for college students in 2014. The backpack was sold more than 30 times. 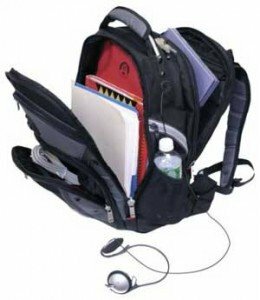 This is simple designed backpack that comes with a separate laptop compartment and huge interior space to carry lots of books and study materials. There are three large exterior and there small exterior zippered pockets available in this backpack to carry gadgets, small tools and electronic items. 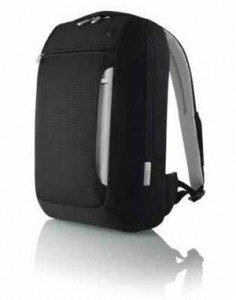 The padded and adjustable shoulder strap helps to carry the backpack for a long time with huge weight. The High Sierra Access Backpack available in more than 12 different colors. 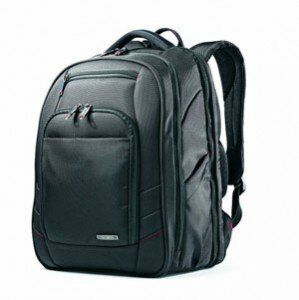 The Samsonite Luggage Xenon 2 Backpack is a popular laptop backpack of Samsonite laptop backpack series that was also sold more than 30 times. 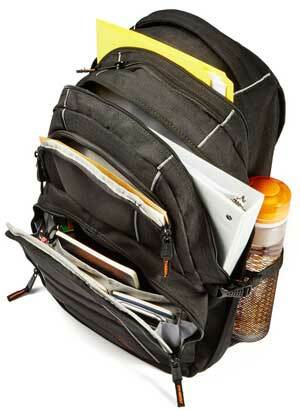 This is simple designed backpack that is also perfect for school or college students. The backpack comes with three compartments to carry huge contents. The padded laptop compartment ideal to carry 13 to 17 inch laptop or notebook. The main compartment comes with well-organized workstation with pen loops, key fobs, business card holders and small pockets for gadgets. The Belkin Slim 15.4″ Notebook Polyester Backpack, Black/Light Gray is a lightweight and versatile backpack that is perfect to use everyday life. This is an ideal backpack for professionals and students that was sold in 2014 more than 20 times. The laptop compartment fits up to a 15.4 inch laptop and there is also several pockets available to carry tools and accessories. 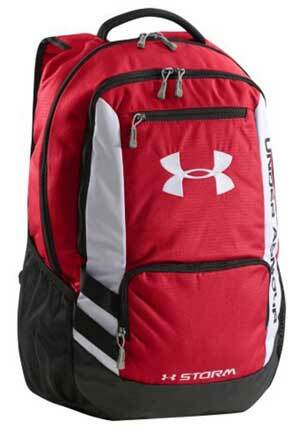 The padded back panel and shoulder strap helps to carry the backpack for long time with huge contents. There is also a separate and removable pouch available in the backpack to carry power cable or charger. The Ogio Women’s Soho Laptop/Tablet Backpack is a perfect laptop backpack for women that was sold more than 20 times in 2014. The backpack specially designed and comes with lots of features for women. The padded laptop compartment fits up to 17 inch laptop and there is also a separate sleeve to carry iPad or Tablet. The shoulder strap designed for women with padded and adjustable feature to carry the backpack for a long time. The main compartment comes with large space to carry files and documents. There are also several small pouch available to carry small tools and gadgets. The backpack has a Rating on Amazon, 4.7 out of 5 and more than 275 customer reviews.